new clothing coming soon! | Anna Allen Clothing Blog: new clothing coming soon! What a tease! I love how simple and classic everything you make it. That skirt slays me. Too perfect! Gosh Anna, these are amazing! That Sailor dress is just to die for! Love the new look of your blog...very Fall! And your designs are great that jean skirt is gorgeous. I love the 60's vibe!!! They look wonderful and comfortable. What a lovely sneak peek. I love these pieces. And your freckly knees! your 60s hair-style works so well with these outfits. 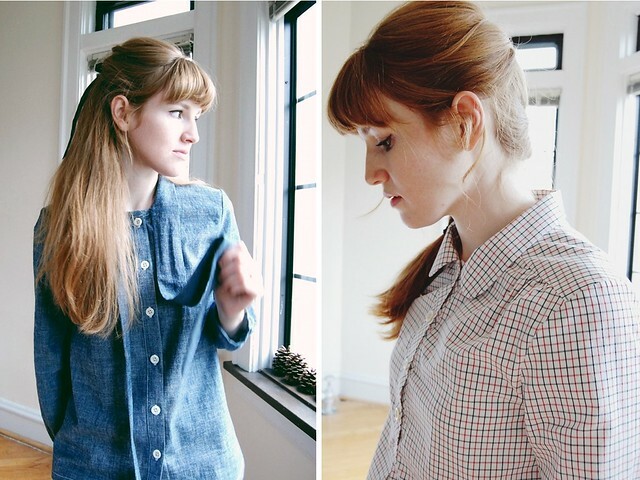 i'm in love with the collar of the cotton blouse.